I was the poster child for this terrible, but serious condition. I'm sandwiched between an older sister and a younger brother, so believe me when I say it was the pits. Don't get me wrong, I loved my siblings more than I could express, still do, but most days, I didn't feel as loved as them. I often felt the expectations that were held over my head were as big as my hair in the 80s, and boy, did I feel left out. A LOT. I felt like I was forever fighting to have my voice heard and I was always stuck doing the dishes. It was exhausting. Yeah, life as a middle child may not have been an easy one for me, but I've long grown to accept my birth rank. I've also reaped some benefits of being in the middle. I've learned to become more tolerant of others, more independent, much more compassionate, definitely well adjusted, and I wasn't afraid to take risks - I like to think I invented YOLO. Hey, don't laugh. I know at least 8 people that take credit for inventing post-it notes, when really it was me all along. I have a very soft spot for middle children. They can be hell on legs, but I look away from their shenanigans as I understand it's usually a coping mechanism. I will always root for them and I will always slip them an extra cookie or a piece of candy as well as a word of encouragement that things will and do get better. 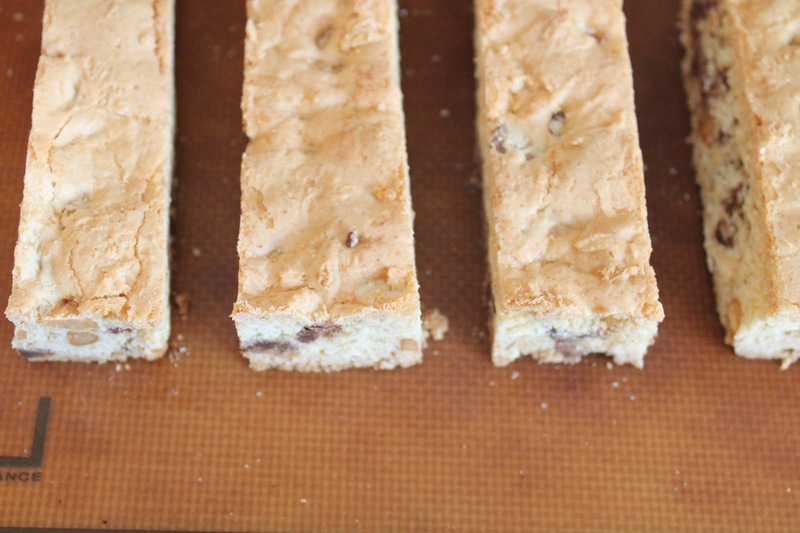 For me, Biscotti itself is sort of a middle child. It's the cookie that is most often passed over if it's sitting on a plate with its softer cookie or brownie counterparts and would most likely only be eaten if that's all there was, even though it usually requires a bit more work to get to the finished product. On the upside, it's also the treat that does the best in higher end restaurants and upscale coffee houses along side an expensive coffee drink, so chew on them apples. I told you, I wasn't kidding about the poster child thing. Preheat oven to 350ºF. Spray a 9 x 13-inch baking dish with non-stick spray. You can also line dish with foil or parchment paper. In a large mixing bowl, add cake mix, eggs, and melted butter in a bowl. Mix until incorporated. Cake batter will be stiff and sticky. 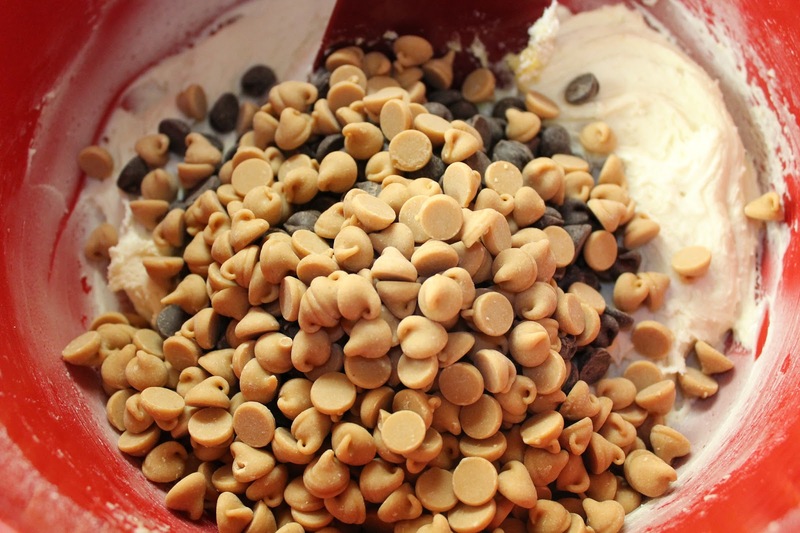 Stir in chocolate and peanut butter chips and almonds, if using. Evenly spread mix into prepared baking dish with moist hands. Bake for 30 minutes or until top is a golden color. Remove from oven and allow to settle for about 5 minutes. 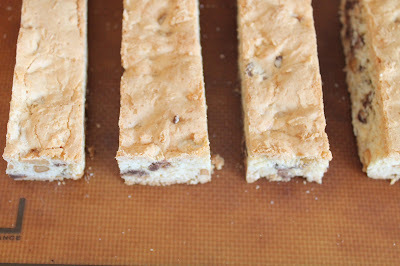 - Remove from pan and slice into strips using a serrated knife. Place back on cookie sheet and return to oven. 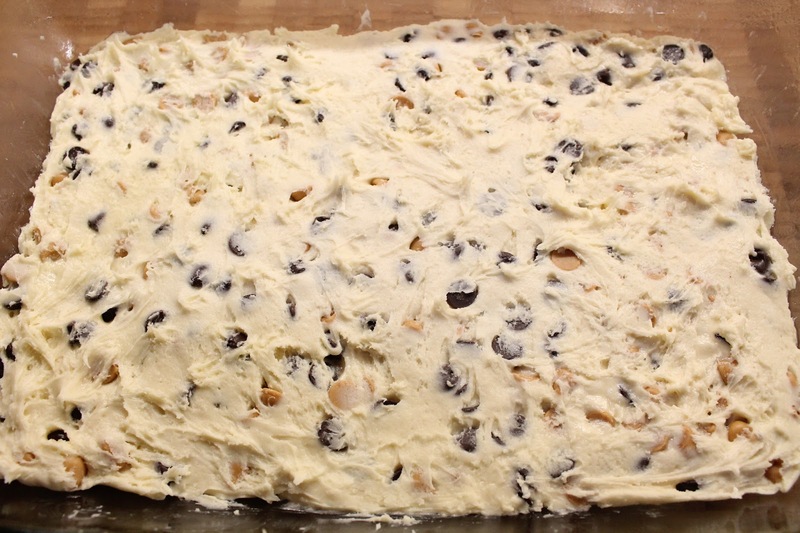 Bake for another 10-15 minutes or until cookies are crisp. Melt chocolate in microwave using a heatproof dish. 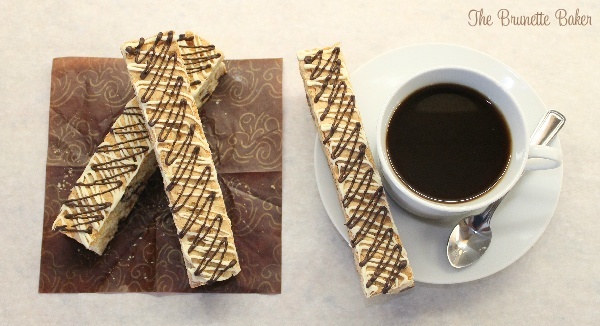 Drizzle melted chocolate over top Biscotti. Allow chocolate to set before enjoying.